I am so excited to be participating in the Surprise Recipe Swap this month! The SRS is a great group of bloggers who each get assigned another blog to pick a recipe off of and recreate it each month. I am honored to have gotten matched up with Earning My Cape this month. I had so many great recipes to chose from and I really had a hard time picking just one but when I saw that Susie had various versions of Naan on her blog I knew that I would be recreating one of them. Justin and I love naan bread. We usually buy it at Publix so when I saw how easy Susie made it sound to make it at home I jumped at the chance to try it. Justin was skeptical at first but even he came around when he saw how easy and how delicious it was to make it homemade. 1. In the bowl of a stand mixer combine half of the flour, the yeast, salt and sugar. 2. Lightly whisk the egg and then add the egg, milk and warm water to the bowl and combine using a dough hook attachment. 3. Add the rest of the flour with the mixer still on until the dough starts to form a ball and pull away from the sides of the bowl. 4. Place the dough in an oiled bowl, cover with a dish towel and let it rise for 30 minutes. 5. Place dough onto a floured surface and knead in the garlic powder, seasoning and shredded cheese. 6. Divide dough into 8 pieces, roll them into balls and then let them rest on a baking tray lightly covered for another 30 minutes to allow them to rise further. 7. Heat a pan or griddle and then roll out each dough ball into a flattened out circle or oval. Poke holes in the dough with a fork. 8. Lightly grease the griddle/pan with butter and let the rolled out dough cook for 2-3 minute on each side until golden brown. 9. Either serve warm as a side dish or top with your favorite sauce and toppings and bake for an amazing homemade pizza! Interested in joining the Surprise Recipe Swap? Click the button below and check out all the details! 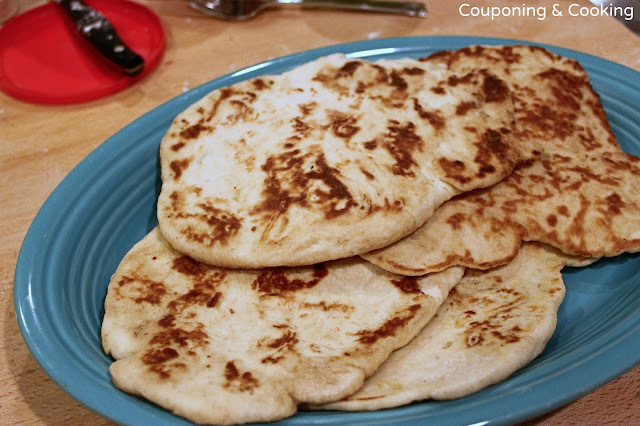 I've never tried naan bread but this definitely sounds simple to make and healthier than store-bought. This would be great with homemade pesto! Kaylee you did a superb job!! What is the measurement for the yeast? Teaspoon or tablespoon? I want to make! I love naan! I usually buy it fresh from our city market, but I am definitely going to try and make this. These look fabulous! mmm love naan flatbread whatever you want to call it. This would be good to fix and have on hand for quick lunches. Thanks for sharing. SRS has had a great first run! I'm part as well. I'm a new follower from Thumping Thursdays. Have a good week! Yummy! I love Naan! I am for sure going to try this! These look DELISH! I was just looking for a good recipe for flatbread. Going to pin this! This looks so delicious! I think I need to make it very soon! 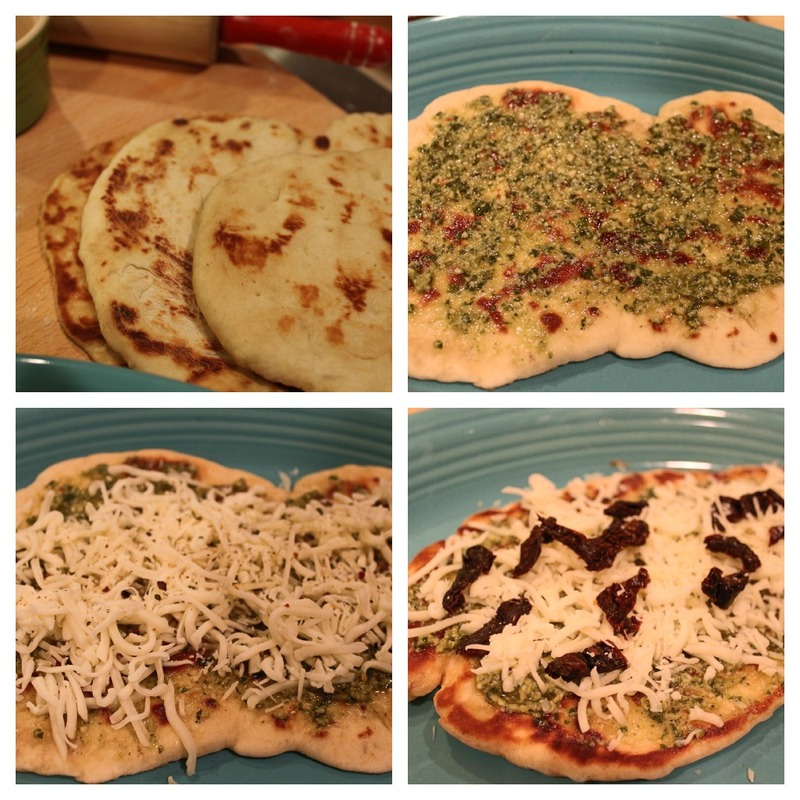 I love flatbread, I don't know why I have never tried making it at home. I think it is time to change that! Visiting from Naptime Creations. I love naan, I will have to try this. Thank you for sharing this recipe on Fluster's Creative Muster Party. I love naan! I've been wanting to make some that I have seen floating around pinterest. I'm going to pin this and maybe I'll give it a try. Thank you for sharing! mmmmm - looks and sounds good by description, contents and all! Pretty good program from what I can tell. Just found you from Made In a Day linky party. I can't wait to try making my own naan. I'm so glad you posted this. I'm your newest follower. I hope you'll join me to at www.crazythriftycrafts.blogspot.com. Thanks! Looks so good, can't wait to try it. Thank you for sharing it. I loooove flat bread, that looks SO delicious! Wow, you made this Italian girl's heart flutter... love your bread. 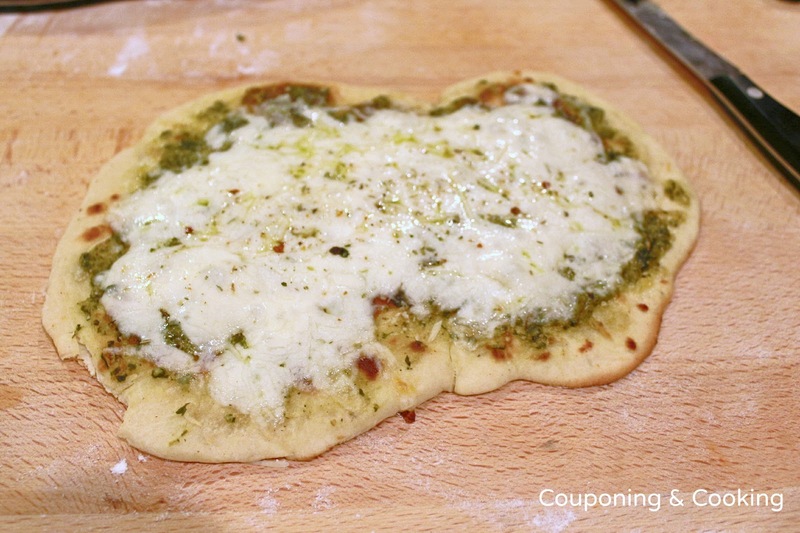 WoW, this Flatbread looks awesome! Hope you have a great weekend and thanks for sharing your tasty recipe with Full Plate Thursday. Thank you for this recipe, Kaylee...I love naan! I usually eat it with hummus but the pizza idea looks pretty tasty! 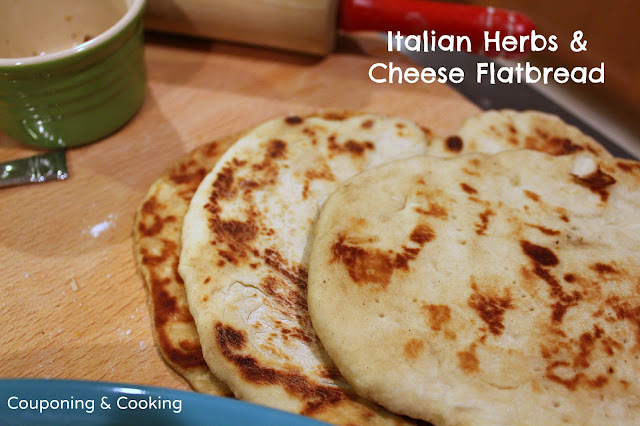 I love making flat-bread and this looks great! Yum! Thanks for sharing on Two Cup Tuesday at Pint Sized Baker. I love flat bread, and I am just giddy knowing that I can now make my own. Thank you for sharing at Foodie Friends Friday. What a great tip. All look yummy! Homemade Naan is on my someday list. This is inspiring me to move it up the list. Thanks for sharing on Thursdays Treasures.